We have been outfitting our customers with tents here at Mountains Plus for a long time. 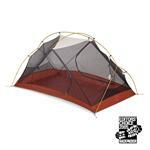 We have large family camping tents, small ultralight solo tents, lightweight backpacking tents and basecamp tents. You might say, however, that the two person tent category occupies a special place in our warehouse. They have been our favorite tent category for years (although the three person tent category is mounting a challenge). Two person tents are some of the lightest tents and most utilitarian tents available for all your outdoor and backcountry adventures. We’ve found, over time, that there are some key features and specifications that most customers really look for when considering a tent purchase. We have developed a simple comparison table with key factors to help you evaluate the two person tent category. Enjoy and, as always, please don’t hesitate to contact us if you have any other questions. « Pete visits Portland w/ his Chrome Metropolis Messenger Bag!